At next month’s Mecum auction event in Kissimmee, Florida, bidders will have the chance to come away with two very collectible Shelby Cobra roadsters: CSX2549, and CSX2588. Both are 1965 examples with Ford’s “HiPo” 289-cubic-inch V8 under the hood, and the latter – CSX2588 – is the very last Shelby Cobra 289 ever sold to the public. 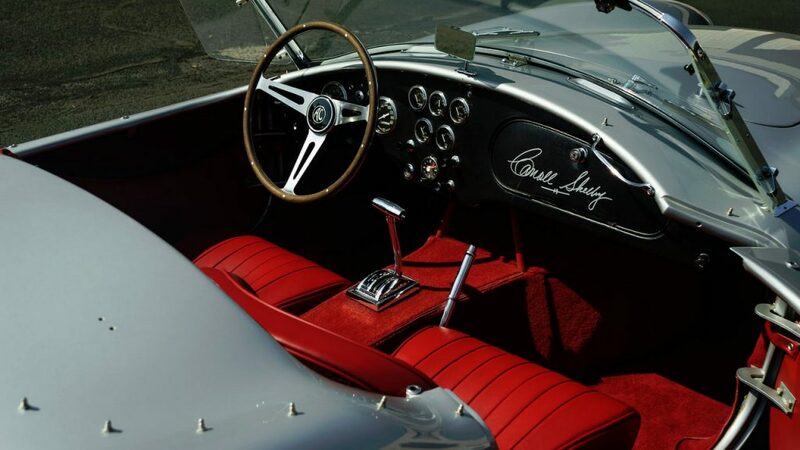 In fact, in the entire production run of the Shelby Cobra 289, only Carroll Shelby’s personal car – CSX2589 – was produced after. That car shipped with a three-speed automatic. No such tragedy ever befell CSX2588, which was built with a four-speed manual, making it the final manual-equipped Cobra 289 ever built. It’s being offered with its original chassis, body, engine, and drivetrain, although the Rouge Iris paint it wears now is the result of a respray, after the car spent some time in an unoriginal color. The car is being auctioned with a $1.1-million reserve, and Mecum anticipates it could fetch $1.25 to $1.5 million. 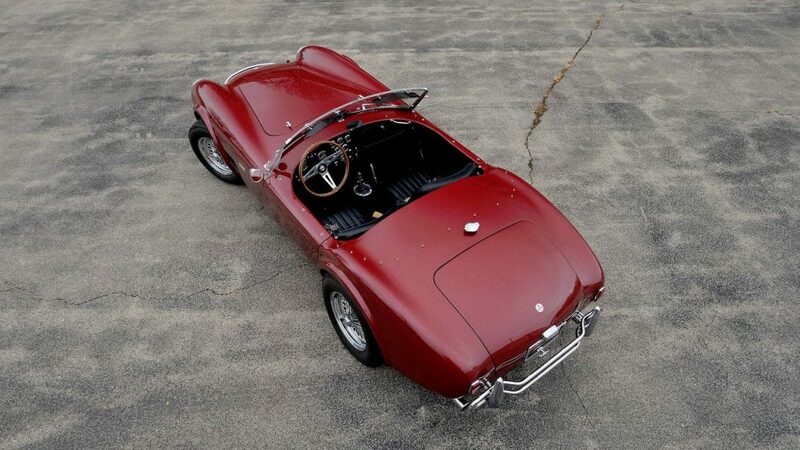 If that’s a bit too rich for you, Shelby Cobra CSX2549 is anticipated to bring in a bit less at $1 to $1.25 million. That car left the factory with Silver paint and a Red interior, with a C4 automatic transmission backing up the factory 289 HiPo. This makes it one of just 20 factory C4-equipped Shelby Cobra 289 examples and, Mecum says, one of the most original surviving automatic cars. Mecum Kissimmee will take place from January 5th through the 14th, and will be broadcast by NBCSN. For more on the second-to-last Cobra 289 publicly sold, CSX2588, click here. For more on CSX2549, one of the most original automatic examples left, click here.